Hi, Guys! I haven't post videos for a long time. My bad. Here's a try to play the "Dark Waltz". As usual, feel free to tell me everything you want about my playing. WARNING: WRONG HIGH NOTES! BE CAREFUL! Thank you for posting the video. That is a beautiful piece of music, and it was very nice with the piano. You have a great ear for music. I like your vibrato, very delicate and beautiful. Yes, you hit a few off notes. You just need more practice. Overall, you are doing very well, and I really enjoyed it. Naska, Naska, Naska: With the exception of running out of bow in one place, I found nothing wrong with your performance. I don't know the song so I can't say if you were off on a couple note's or not. Everything looked and sounded great to me, you did a marvelous job. Very nice relaxed vibrato, great bowing technique and to my ear your intonation was spot on. Oh, WOW, Naska, that was so beautiful and a nice tune. You played it so well and your vibrato is impressive. Maybe it's me, but somehow I thought your backing track and your violin are out of tune a bit. I may develop old man hearing problem now, LOL. Great job, girl. Keep it coming. That was beautiful, Naska! Like others have said, I'm not very familiar with that piece, so I never would notice any off notes. And who am I to criticize someone who can shift position so effortlessly and vibrato with her pinky finger. I especially love the ending. Mad_Wed > that was beautiful > I have heard this before. You play with an extention of your spirit. It moved me listening to ya. The end was like icing on the cake > I was floating as you were playing and when you went into your laughing it brought me back to Earth. I really enjoyed it. >> YOU ROCK!!!!!!!!! Oh my word girl, that was so lovely. What an inspiration to all of us. And yea, the ending made me smile. Standing ovation Naska... from my heart. I loved it beginning to end. If I could play like that I might never leave home.. bravo... BRAVO B R A V O. Love the ending it shows you were having fun and personality.. I was mesmerized by your playing. My wife, sitting in the other room, asked me which teacher was playing. When I told her it was you she said, "she plays beautifully". 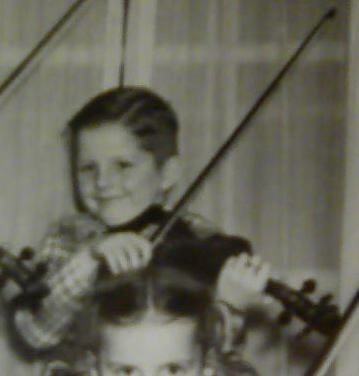 You have come so far, keep going and show the people who said you were too old to learn to play violin. .... If I could play like that I might never leave home..
Well, I just emailed my teacher and told her I'd found my motivation to learn higher positions and vibrato. That was quite simply, beautiful. WOW ..... that about sums it up. That was spectacular. Your vibrato is well practiced. I love that piece, its very Klezmer in sound and feel. A lot of feeling and emotion in it. Since you want criticism, more then likely no one would no where your notes were not exactly on, until you close your eyes and shake your head. Oh, and when you laugh so hard that you can't finish it too. I'm glad you made good use of the part and audio file. Has your teacher seen this? We're all super proud of you here and I'm curious what she said. I know why you started to laugh at the end before the high note. Loved the video. Thanks for posting. ... Since you want criticism, more then likely no one would no where your notes were not exactly on, until you close your eyes and shake your head. Oh, and when you laugh so hard that you can't finish it too. ..
LOL! Thanks, Tyberius! I'm trying my best to not show all those things, but i haven't succeed yet, he-he =) I'll try harder. Has your teacher seen this? .. I think you should send her the link to your video anyway. I think she would enjoy it. Your bowing and vibrato is so graceful. Enjoyed it very much, and the ending too! Great job, would love to learn this piece. Is there sheet music available. ?